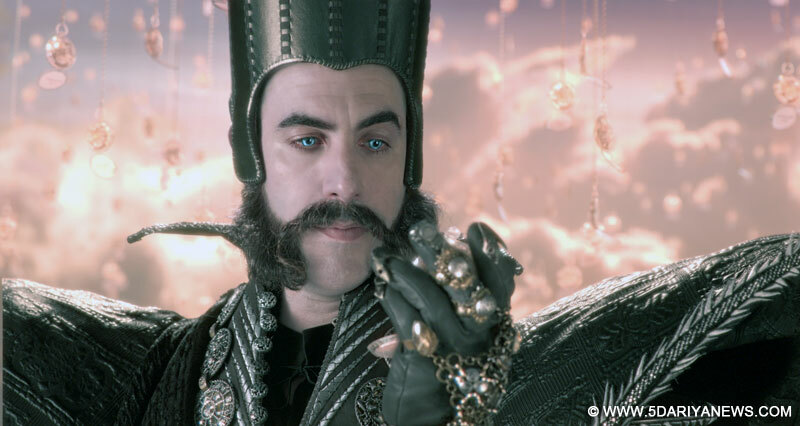 Actor Sacha Baron Cohen feels Johnny Depp is the "only" actor who can pull off the character of Mad Hatter, a fictional super villain, with conviction on the silver screen.Depp will be seen playing the Mad Hatter in Disney's forthcoming film "Alice Through the Looking Glass", which will release in India on Friday. "There are not many people who could pull off the character of the Hatter that is that extreme, over the top and flamboyant, so Johnny is probably the only person that can pull that off and make it still believable and not absurd. That’s his brilliance, really,” Cohen said in a statement. Starring Mia Wasikowska, Time Burton and Disney’s “Alice in Wonderland” took the audience on a delightful journey across wonderland. And Disney’s “Alice Through the Looking Glass” is set three years after the events of “Alice in Wonderland”. Alice has spent the past few years following in her father’s footsteps and sailing the high seas. Cohen will be seen essaying role of Time. And the English actor says he “worked quite a lot on trying to make sure that he had a unique way of talking, a unique way of speech”. "Alice Through the Looking Glass" also stars Mia Wasikowska and Alan Rickman.